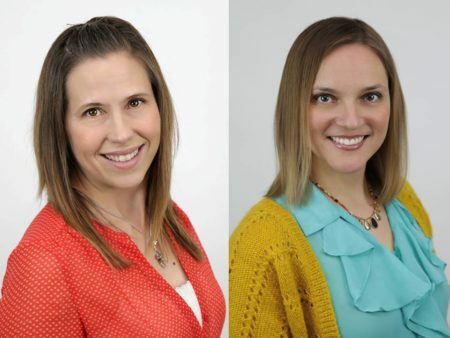 HENDERSON, Nev. – Henderson, Nevada-based Imagine Communications has named Melissa Biernacinski director of public relations/reputation manager and Tiffannie Bond public relations coordinator/company photographer. Previously, Biernacinski served the company as director of media relations, Bond as media relations specialist. Both are native Nevadans and UNLV graduates. With the agency since 2005, Biernacinski’s experience includes local and national story pitching and coordination for print, TV, radio and online; award nominations; crisis communication; press conference coordination; legislative support; and more. She is also Imagine’s resident editor. As a result of her success in the industry, she has served as an industry speaker and author and has been honored by local organizations with several awards, including induction in 2014 into the Women’s Chamber of Commerce’s Women’s Hall of Fame. Bond has been with Imagine for six years, joining the firm after an 11-year career in journalism. Established in 2000, Imagine Communications is a full-service marketing/public relations/communications company with employees in Henderson, Nevada; Flint, Michigan; and Deltona, Florida. Representing local, national and international clients in industries across the board, the company places a high emphasis on cultivating a creative, flexible and inviting company culture that appeals to employees, clients and potential clients alike.